The Malibu Studios is situated in the lively resort of Faliraki just 600 m from the beach on the island paradise of Rhodes. Situated in a small, well-maintained block of studios within walking distance of all the action, this is a good value for money 3 Star complex for grown-ups who are ready to party yet are not too close to the noisy action with 38 studios over 3 floors. 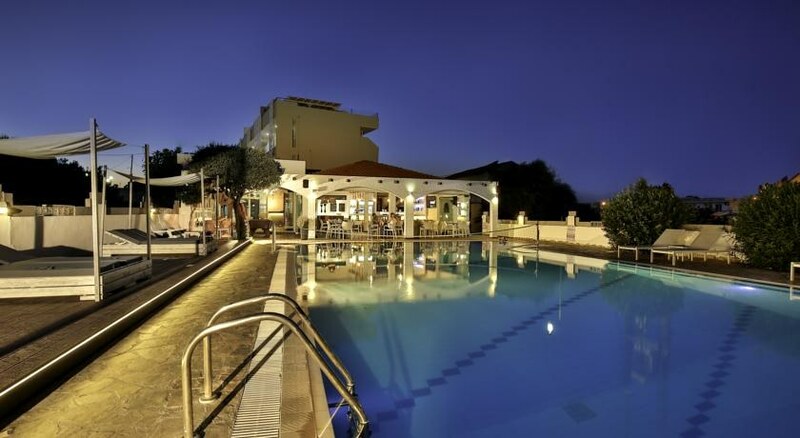 Guests to the Malibu Studios can discover marvellous beaches and fishing villages and walk 400 m to Faliraki centre with easy access to bars, shops, restaurants and the famous night life. Diagoras Airport is a 20 km from the hotel. Local Tips: Malibu Studios is close to a number of attractions and places of interest such as the Afandou Golf course, Rhodes town (14 km), the Acropolis of Rhodes, Grand Master Palace, Modern Art Gallery, and Casino. 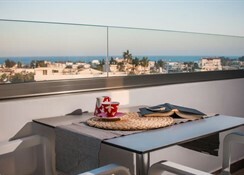 Food, drink and entertainment: Self Catering studios with an option for Bed and Breakfast. The restaurant is open all day serving meals and the bar stays open til late. The hotel also organises a once a week Barbeque night or Karaoke evening. 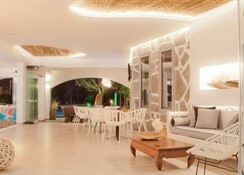 Sports, games and activities: Swimming pool, sun terrace with sun beds and umbrellas. There is a huge range of water sports available at the nearby beaches. Additional: Internet access in public areas, safe rental, iron available on request, non-smoking rooms, parking, bicycle parking. Full charges apply for all adults.